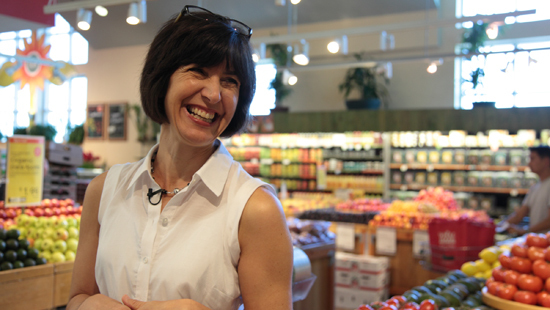 A few weeks ago, BU Today featured our very own Stacey Zawacki, director of the Sargent Choice Nutrition Center, in a great video featuring tips on navigating the produce aisle and lean protein options. With the weather getting colder and motivation to go to the grocery store dwindling, figuring out ways to make food shopping cheaper and more efficient is essential. Whether you live in an apartment or do some of the grocery shopping when at home, be sure to check out the video above! RD Laura Judd also offers a class at Fitrec called Healthy Cooking on a Budget. With registration coming up in early November, definitely take a look and see if you can fit it into your spring schedule! Sargent Student Kelsey Michelsen will be writing blog posts the rest of the semester on Healthy Cooking on a Budget, providing you with tips from each class on how to eat healthy without draining your spending account. Be sure to check out her posts!